Kimberly Fisher joined The Philadelphia Orchestra in 1992 and has served as Principal Second Violin since 2002. She has appeared as soloist with numerous orchestras including The Philadelphia Orchestra, the Vancouver Symphony, and the Victoria Symphony. As recitalist and chamber musician she has performed across the United States and Canada, and in England, Spain, France, Germany, Japan, China, Vietnam, and Argentina. Ms. Fisher has appeared in chamber music settings in prestigious venues such as Carnegie Hall, the Mogador Theater in Paris, the Kimmel Center, and the Great Hall of the People in Beijing, and in collaborations with internationally renowned artists such as Wolfgang Sawallisch, Cristoph Eschenbach, Jean-Yves Thibaudet, and many others. Ms. Fisher has been awarded multiple Canada Council grants and was invited to perform as soloist at the Governor General’s concert in Canada. She has been featured on National Canadian Radio and on Canada’s CBC television. Her teachers included her father, Lawrence Fisher; Yumi Ninomiya-Scott; Aaron Rosand; David Cerone; and Jascha Brodsky. In 1997 Ms. Fisher co-founded the Philadelphia International Music Festival (PIMF), a highly successful summer music program in residence at Bryn Mawr College, to encourage and inspire musicians of all levels. Originally just for string players, the Festival now includes all symphonic instruments plus piano and vocal programs, and features innovative specialty programs to help students prepare for auditions, improve practice, and address performance issues. PIMF includes students of all ages and all levels who attend from around the world to study privately with musicians of The Philadelphia Orchestra. Ms. Fisher is an active pedagogue whose students have performed as soloists with major orchestras, attended distinguished music conservatories, performed as members of professional orchestras, and won many awards and competitions. Her energetic, communicative teaching style has led to invitations to present master classes, lessons, and seminars around the world. Sandy Marcucci is the co-founder of the Philadelphia International Music Festival, as well as Atlantic Cape Camps – the feature of an ESPN special aired throughout the United States and abroad. Through her innovative marketing and media campaigns, Sandy has facilitated sports and music programs and clinics in Bryn Mawr, Pennsylvania; Miami, Florida; Paris, France; London, England; Brussels, Belgium; Reykjavik, Iceland; and Groznjan, Croatia. Ms. Marcucci, former Assistant Director of Communications for the New Jersey General Assembly and former staff member at the National Defense Council Foundation in Washington, D.C., first acquired an interest in international marketing while studying at the American University of Paris and Paris-Sorbonne University. Ms. Marcucci is a former member of the Friends Board at The Curtis Institute of Music. Madison Day, a graduate of The Juilliard School, made her solo debut with the Ocean City Pops Orchestra at the age of 11. She has won first place in numerous competitions and has performed as soloist with the PIMF Chamber Orchestra, Temple Music Prep’s Youth Chamber Orchestra, the Manalapan Battleground Symphony, the Cairn Orchestra, the Ocean City Pops, the Warminster Symphony, Ambler Symphony, and the Lower Merion Symphony. 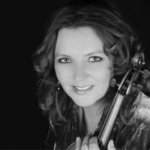 As an orchestral musician, she has toured with The Philadelphia Orchestra and the Chamber Orchestra of Philadelphia, has performed with the Louisiana Philharmonic Orchestra, Opera Philadelphia, and has performed as Concertmaster of the Mansfield and Lower Merion Symphonies. She is also a Starling Scholar, a selected participant of the Juilliard School’s Gluck Community Fellowship program, and a recipient of the Braverman String Quartet Scholarship. Madison has a private violin studio in the Philadelphia area, is the teaching assistant to Kimberly Fisher, and is an Artist in Residence at Temple University. Madison is currently the Assistant Artistic Director of the Philadelphia International Music Festival. 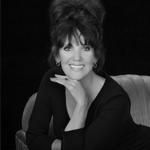 Kristi Bearden has been helping clients plan and execute events since 2002. 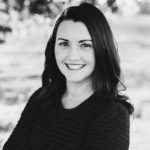 As a Corporate Event Planner she has worked on both the national and international level for John Hancock, as liaison to Major League Baseball and the International Olympic Committee on such events as the Boston Marathon, MLB All-Star Games, and the 2004 Summer Olympic Games in Athens. Her love for weddings brought her to Center City Philadelphia, where she managed the weddings of over 200 brides before joining the Philadelphia International Music Festival in 2009. As a member of the PIMF family, Kristi has been a part of the summer festivals in Bryn Mawr, Pennsylvania, Winter Solo Performance Camps in Miami, Florida, and International Festivals in Croatia and Italy. Now a resident of Arizona’s East Valley and proud mom of two beautiful girls, Kristi and her husband Darrell have opened Party Bliss, an Event and Wedding Day Management company specializing in event day coordination. 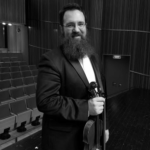 A versatile and adventurous performer, Jonathan R. Moser – conductor, violinist, violist, vocalist and teacher – regularly concertizes with chamber ensembles, as a recitalist, and with orchestras. He is Principal Second Violin with the Erie Philharmonic and this year will also be performing as soloist with the Erie Junior Philharmonic. Other upcoming performances include recitals at Mercyhurst University. In December 2016, Mr. Moser enjoyed the opportunity to participate in an expansive ten city orchestra tour of China and for two years he toured extensively with Sandip Burman – an internationally renowned tabla artist. Mr. Moser has served as concertmaster for Pittsburgh Opera Theater, Music on the Edge, the Erie Philharmonic, and Musica Nova, among others. He has served as Principal Second with the Bay-Atlantic Symphony and the Wheeling Symphony. Mr. Moser was winner of the Pittsburgh Concert Society Solo Competition, the Philadelphia College of Bible Solo Competition (2 years), the Northern Virginia Music Teachers Association Solo Competition, the Shenandoah University Concerto competition, and was a finalist in the National Symphony Orchestra’s Young Soloists Competition. Mr. Moser was a founding member of the Arizona State University’s Katherine K. Herberger Graduate String Quartet. Mr. Moser has loved music ever since childhood when he would sit under the family piano listening to his parents and grandmother playing Beethoven, Chopin, and Rachmaninoff. His formal musical education began at five years old as a violin student, an education he pursued through a Bachelor of Music in Performance degree from Shenandoah University and a Master of Music in Performance degree from Arizona State University, with additional Doctoral studies in performance. Mr. Moser has enjoyed working with many outstanding teachers including Dara Morales, Katie McLin, James Stern, Sergiu Schwartz, Linda Cerone, and Ronda Cole, and he has performed in master classes with Jaime Laredo, Claude Frank, Sylvia Rosenberg, Shlomo Mintz, and Sergiu Luca. During his education, Mr. Moser minored in voice and studied viola — and discovered a passion for conducting. Now entering his third year as director of the Mercyhurst Civic Orchestra, he has lead the orchestra into greater and more challenging repertoire, and has expanded the performance schedule to include three full symphonic concerts and opera performances. Mr. Moser instituted an annual concerto competition, led the ensemble through the shift from a chamber group to a full symphony, and has expanded the membership. This past fall, Mr. Moser began his first full year as Artistic Director of the Erie Junior Philharmonic, leading into a new era of expansion and musicianship, through innovative programming, accelerated outreach, and inspiring students to desire and achieve high standards. As a tireless advocate of youth education, Mr. Moser has brought the ensemble back to downtown Erie in the historic Strong Vincent Middle School. He has also led the redesign of the entire program starting with a renewed string camp in early August. Summers, Mr. Moser can be found working as the Orchestra Program Director for the Philadelphia International Music Festival where he organizes and oversees up to ten orchestras reaching 400 – 500 students. 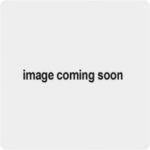 Prior posts include Orchestra Director at Kutztown University and Music Director of the Wilmington Community Orchestra. Before moving to Philadelphia, he was the Director of Orchestras and Instructor of Music at Westminster College and served as Adjunct Faculty for Grove City College. He has also been the Director of Music at University Presbyterian Church, Providence Presbyterian Church, and Proclamation Presbyterian Church. Also a lifelong learner, this past summer Mr. Moser was honored to attend the Pierre Monteux School & Music Festival as a 2018 Bernard Osher Conducting Scholar. Mr. Moser and his wife are blessed with three artistic children. 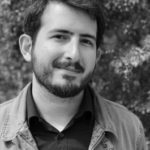 Now in his 5th season with PIMF, David’s primary role includes managing email and social media outreach, including the planning and distribution of important PIMF news and announcements, featured educational content, and more. David’s mission is to ensure that each and every young musician has the opportunity to learn about the outstanding programs PIMF has to offer and provide the resources necessary to choose their ideal music camp. 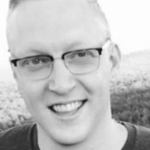 In addition to his work with PIMF, David owns and operates NippsMedia, a full-service digital marketing agency located in southern New Jersey. David earned a B.S. in Finance from Rowan University in May of 2018. 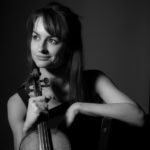 Violinist Margaret Dziekonski has performed across Europe, the United States and Australia as both soloist and chamber musician. She has given concerti with American and British orchestras, and performed at London’s Wigmore Hall, King’s Place, St Martin in the Fields, St James’ Piccadilly and St Peter’s Eaton Square. An avid chamber musician, Dziekonski has given concerts alongside great international artists, including Valentin Erben, Hartmut Rohde and Gwyneth Wentink. Chamber music festivals include The Cully Classique Festival VIS-À-VIS (Switzerland), The Camilleri Festival (Malta) and The Crossroads Festival/Tour (Australia). She has performed in live radio broadcasts for stations in the United States and Australia, and recorded for the Toccata Classics label. 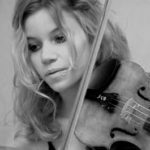 Dziekonski completed her master’s studies at the Royal Academy of Music, London, under Tomotada Soh, graduating with distinction. She also holds an undergraduate degree with honors from the same institution. Dziekonski’s early formative studies were with Lee Snyder of the Settlement Music School, Philadelphia. Dziekonski plays a 2018 Christopher Germain violin, made possible through the generosity of The Maestro Foundation. Eric joined the PIMF staff in 2018. He has earned his Master of Music in Composition from the University of Kansas in Lawrence, KS and a Bachelor of Music in Jazz Studies from the University of Missouri-Kansas City Conservatory of Music and Dance in Kansas City, MO. Prior to joining the PIMF administrative staff, Eric held the positions of Operations Assistant at the Marlboro Music Festival in Marlboro, VT and Orchestra Manager for the New York String Orchestra in New York, NY. A talented saxophonist and composer, Eric currently resides in Philadelphia, PA. In addition to his administrative work he continues to teach, compose, and perform throughout the United States. 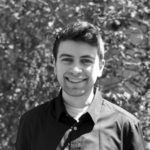 Salvatore joined PIMF in the Summer of 2015 as an intern and continued on to his current role for the Summer of 2016 until today. He recently graduated from Michigan State University with a Masters in Arts & Cultural Management. He is originally from Melbourne, FL, and graduated in May 2016 from the University of Central Florida, where he earned his Bachelors of Music in Music Performance on the flute. 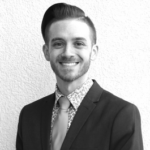 Outside of PIMF, Sal is also the Education & Operations Manager at the Lansing Symphony Orchestra in Lansing, MI. Ever since beginning to play the flute at 8 years old, Sal has had a passion for music and its performance. During his 6-year tenure as PIMF Director of Student Information, Shane has overseen the conversion from a paper student record system to a digital student information database. These changes have allowed students more access to customize their camp experience and streamline communications between faculty from all of the different programs offered at PIMF. 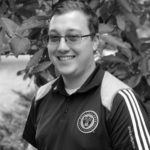 In conjunction with his role at PIMF, Shane is a business consultant for Apple and holds a Bachelor’s degree in psychology from Stockton University. In his spare time, he enjoys playing the piano or drums and traveling with his wife, Sophie. Ben has been with PIMF since 2011, organizing hundreds of solo performances, masterclasses, and competitions during each session of the festival. As Auditions Director, Ben also coordinates all incoming auditions throughout the year and works closely with the adjudication team. 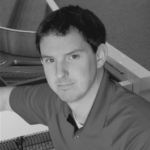 Besides his role at PIMF, Ben is the owner of South Jersey Piano Service and is a Registered Piano Technician with the Piano Technicians Guild. A musician from a young age, Ben is also active as a pianist and church choir director. He holds a B.S. in Music Education and an M.M. in Choral Conducting, and taught music at the middle school and high school level for six years. Jacob is now in his third season with PIMF and has worked in a variety of capacities in his time here. Jake’s main project as Camp Store Director has been to improve merchandise options, quality, and accessibility. In order to reach these goals, Jake has created and managed the PIMF Online Camp Store which offers families the opportunity to purchase PIMF merchandise year round and wear their merchandise proudly upon arrival at camp. Jake also assists in marketing and administrative tasks as Festival Coordinator, and is always happy to answer any questions you may have about the festival. In his free time, Jake fosters dogs for a local rescue (and has saved nearly 200 lives through this). Jake also is a violist himself and plays in several local orchestras, in addition to his role with PIMF. Emily Watkins joined the PIMF staff in January 2018. 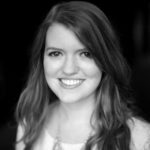 As a Festival Coordinator and Orchestra Liaison, she assists in marketing, orchestra partnerships, and the planning and implementation of various programs at the festival. Emily is an arts administrator and pianist in the Philadelphia area. In addition to her work with PIMF, she is a Program Manager and Teaching Artist for Sister Cities Girlchoir, an El Sistema choir program for underserved girls in Philadelphia and Camden. She is a highly sought-after collaborative pianist, regularly accompanying students at West Chester University, Temple University, University of Delaware, and Villanova University. She was a collaborative artist at the Russian Opera Workshop in Philadelphia and has served as the rehearsal pianist for Peach State Summer Theatre, a professional summer theatre company in Valdosta, Georgia. She spent two summers in Skagway, Alaska performing in The Days of ’98 Show, a long running ragtime musical about the history of the Alaskan gold rush. She is currently the Director of Music at St. Martin’s Church in Radnor, PA. Emily earned a B.M. in Piano Performance from the Sunderman Conservatory at Gettysburg College where she was a winner of the conservatory-wide Concerto Competition; she earned a M.M. in Collaborative Piano from Florida State University in May 2015. Karen joined PIMF in March 2017 as Student Liaison and Special Programs Coordinator. At Glassboro State College (now Rowan University), she earned a Bachelor of Arts degree in Elementary Education and a Masters of Arts degree in Student Personnel Services. In earlier years, Karen played piano and French horn and performed in various choral groups and theater productions. Karen comes to PIMF with orchestral and jazz festival planning experience in Pennsylvania. Karen’s lifelong passion for the arts continues today. She has performed with a local choral group and volunteers in theaters in South Jersey area. She also volunteers and supports a local high school music program where her son is the Band Director and teacher of Instrumental Music. Zach joined the PIMF staff in 2017. In his time with the festival, he has helped to coordinate many PIMF programs, including Chamber Music, Piano Studies, Solo Performance Preparation, and several others. Zach graduated with a Bachelor of Music in Music Education/Jazz Studies from Temple University. He is currently pursuing a Master of Music in Music Education from the University of the Arts. Outside of PIMF, Zach is incredibly passionate about education. He teaches music at the middle school level in the greater Philadelphia area. The Philadelphia International Music Festival is pleased to welcome Stephen Cittadini to its staff as a Sponsorships Coordinator. Stephen has 26 years of law enforcement experience and served as a police sergeant in Lumberton Township prior to retiring. 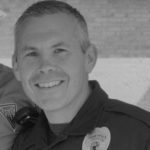 While being employed as a police sergeant, Stephen gained national attention in event planning by hosting various events throughout the year in Lumberton Township. The largest event, held every August, is National Night Out which attracts ten thousand people. Stephen accomplished this all by corporate sponsorship – raising nearly thirty thousand dollars for the event so that it was free to the taxpayer. Stephen has a passion for marketing and has proven himself. He can help you establish a prosperous partnership! Stephen is a resident of Atlantic County New Jersey, and enjoys spending time with his wife Courtney and two children. INTERESTED IN NEWS AND SCHOLARSHIP OFFERINGS?